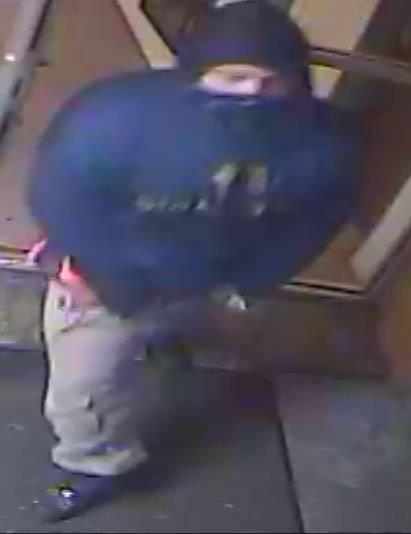 The Bossier City Police Department is asking the public for help with identifying an armed man caught on security camera footage robbing a local hotel last month. The robbery happened just after midnight on January 28 at the Bossier Inn and Suites in the 700 block of Diamond Jacks Boulevard. The suspect who was armed with a handgun entered the lobby, approached a clerk at the front desk and demanded money. The suspect then fled on foot with an undisclosed amount of cash. The clerk was not injured. 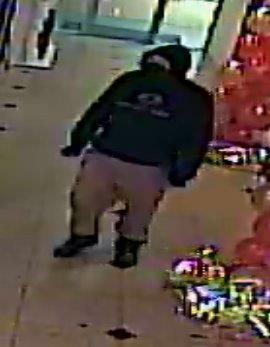 The suspect is described as a white male, around 5’10” tall with an estimated weight of 170-180 pounds and stocky build. He was wearing a bright blue hoodie with an undistinguisable logo on the front, khaki pants and had his face partially covered. Anyone who can help police identify this suspect is asked to contact Bossier City Stoppers at (318) 424-4100. They can also submit a web tip via the Bossier Crime Stoppers website – bossiercrimestoppers.org. Persons who contact Crime Stoppers are reminded they may remain totally anonymous and could be eligible for a cash reward.